Du Dou is the traditional Chinese undergarment to be worn on the upper part of the body. The top will be hang around the neck by a ribbon while the side is tied around the body by another ribbon. It is usually made by the female for their lovers, hubby, children or for their own use. The one used by the female are usually a simple red cloth without any embroidery, the one for the lover are more elaborated the theme for the embroidery will be some love story from opera, legends etc. 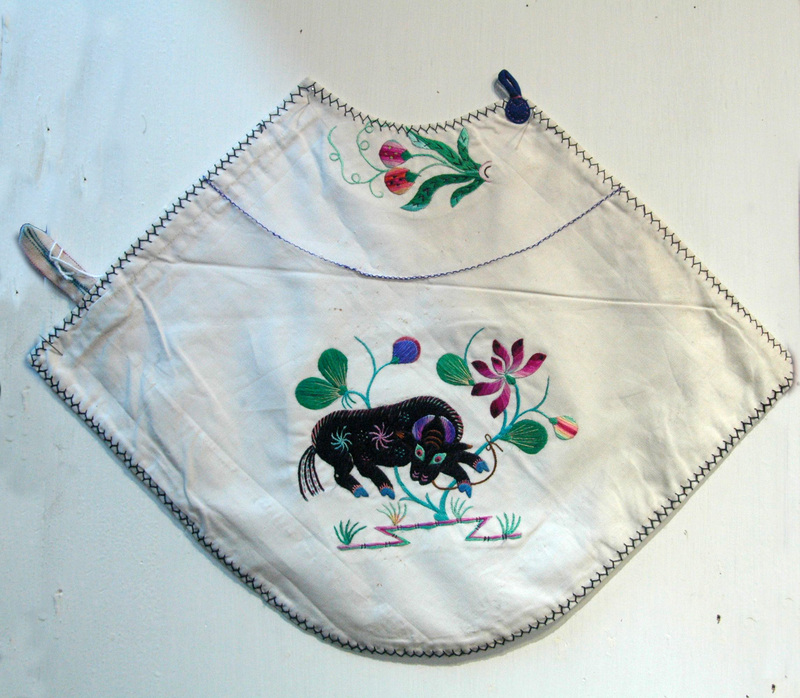 The embroidery made for the children are that of blessing, zodiac signs, etc.